They've been dating since March 2017. 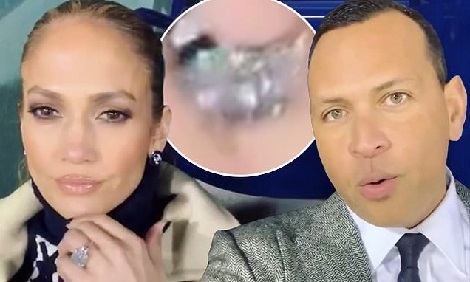 And fans are now wondering if things have progressed to the next step, thanks to a piece of jewelry worn by Jennifer Lopez when she accompanied beau Alex Rodriguez to game two of the World Series on Wednesday. The 49-year-old On The Floor songstress started tongues wagging by flashing a massive diamond sparkler during the game at Fenway Park. JLo appeared in a short video posted by long time boyfriend Alex Rodriguez, 43. The caption innocuously read 'Jennifer, what’s the sign?!' and saw the pop star attempting to mimic the signs given by baseball coaches to their players on the field. Of course the ring is what caught the eye of fans. Though the ring is not technically on the correct hand to indicate an engagement, that didn't stop fans from speculating on the significance of the sizable piece of bling.